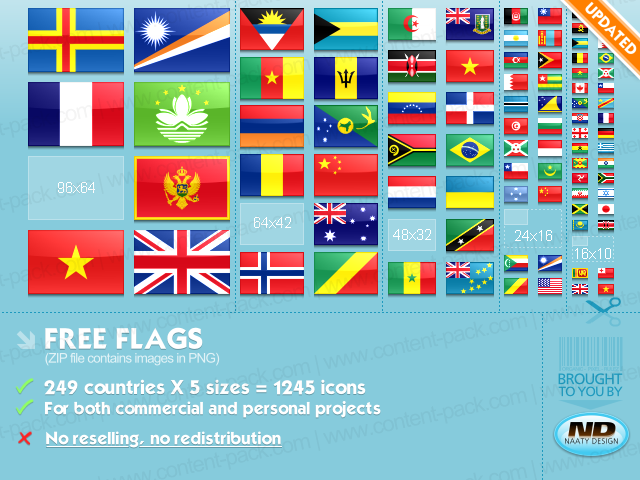 A total of 1245 free flags icons, 249 countries and 5 different sizes. Free for both personal and commercial use, attribution appreciated but not required. The popular 16×16 flags icons by FamFamFam. Free for both personal and commercial use, attribution required.